I came across this and decided it’s worth a read, especially for people like me who are about to start a family. I was shocked to notice that the school fees paid by a student in these schools can be used to award scholarship to entire secondary schools in a Local Government Area. Below is the list of six (6) Most Expensive secondary Schools in Nigeria and their School Fees per year. Here is the list arranged from the six to the highest paying school. They charge N2,000,000 annually for a boarding student and N1,250,000 for a day student. They charge as high as N2,000,000 annually. Fees can be paid annually or termly but on or before the first day of school. 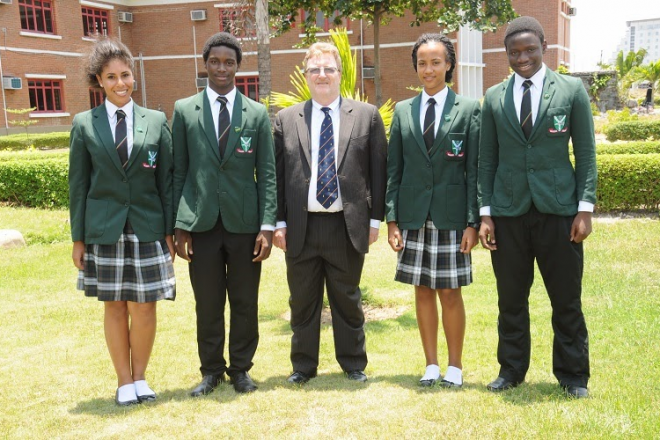 These include registration,tuition deposit,accommodation and feeding. 2. Lekki British International School, Lekki Phase 1. They charge $19,500 + N200,000 development fee. In Naira, a student pays N4,000,300 per session including feeding,school uniform,hostel, sunday wear and textbooks. They charge $26,750 + N200,000 annually for a student. This includes boarding facilities, feeding, books,uniforms,textbooks etc. which is about N4,480,000 when converted to naira. corruption will never stop…..how many parents in Nigeria have that huge amount of money to cater for just single child..every parents wants the best for their children and their salaries cant be sufficient…so they have to engaged in corruption to meet up their demands..what am trying to say is that government have to regulate all these sectors to stop corruption in Nigeria. Hmmmm, I no fit talk. Am just speechless . These figures are too outrageous! Come on! What are they teaching? why should education experience inflation? what would I pay as school fees for my future kids? what is the country turning into? is the today Nigeria a most steal to survive or education someday would be for only the rich. corruption we cry is, everywhere. is like shouting “ole” after a thief and that same thief is also shouting “ole”. of course, there would be confusion amongst the populace who is the actual thief. the Nigerian system patronizes corruption, its a pity for the unborn generations. I hope they teach them how to make aircrafts if they dont then its worthless. And I also need to hear d talents n gifts they have made out of those students. My brother, your research is highly outdated. As far back as 2011, one particular school in Abuja was charging more than the most expensive school you mentioned. I know more than 7 school in Nigeria that are charging more than the most expensive school you mentioned. I am not joking. my brother is teaching presently in one of them. They do not even advise those schools in daily newspapers. You can only get them on net. I have been to two of the schools before. 95% OF THEIR STAFF HAVE CARS. the facilities in most of those schools are better than first class schools in America and Europe. My brother, monet dey for Niger I beg. They do not even advertise those schools in daily newspapers. You can only get them on net. I have been to two of the schools before. 95% OF THEIR STAFF HAVE CARS. My brother, money dey for Niger I beg.